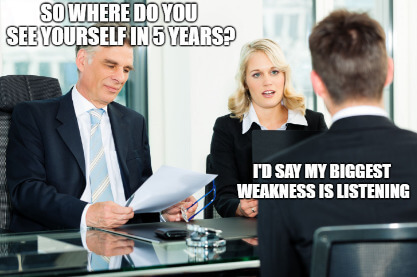 Oh Bill Y, those job interviews are so tricky! So I hear, Don Don’s! Bill Spencer as my forever intern? OKAY! Now you’re just making John nervous. Oh, that’s what I did wrong! This is why everyone wears headphones, these days!